Is it time to update your swimming pool? Renovating or remodeling your pool and spa can return your small piece of paradise back to its original beauty or make changes to create a new back yard oasis. If you have started to notice rough surfaces, blemishes, stains or unsightly popping of your pool interior you shouldn't hesitate any longer. Please give us a call and let our experience go to work for you. Pool renovating and remodeling can be a tricky job and if not done correctly a costly one. Allow Desert Springs Renovations to put all your swimming pool concerns at ease and get the job done right the first time knowing you have a team with over 45 years combined experience in your backyard. Breaking Las Vegas Hot Tubs and Spas News: We are now partnering with the luxurious Marquis Spas and are the official and exclusive Las Vegas hot tubs and spas dealer of this respected company. 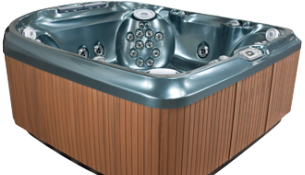 And now we are also the official dealer of Jacuzzi Products in Las Vegas and Southern Nevada as well. CLICK FOR ALL HOT TUBS AND SPAS INFO. Marquis® was founded in 1980. Since that time we've worked hard to build trust with our customers.Marquis is mainly concerned with offering creative and innovative designs that will provide you the ultimate soaking experience, cost less to operate, and require the least amount of maintenance.